Linux appeals to a certain kind of computer user: if you like computers enough to read about or tinker with them in your free time, then there’s a good chance you’ll find something to like about Linux 8 Surprising Uses for Linux That You Can (Mostly) Try Yourself 8 Surprising Uses for Linux That You Can (Mostly) Try Yourself Linux is highly configurable and adaptable, and free. As such, it may not surprise you to learn that people use Linux for many unusual tasks. Read More . Otherwise, you will probably consider it too much work to bother. Endless Computer’s Endless OS aims to provide a complete desktop experience that’s versatile enough to serve families. Is this the ideal way to introduce newcomers to Linux? What Makes Endless OS Different? It’s not that Linux is complicated. The operating system may have that reputation, but these days the various desktop interfaces have long provided an experience that’s easy for savvy computer users to dive right into. But there are elements of the experience that are rough around the edges, such as installing software How to Install Software on Linux: Package Formats Explained How to Install Software on Linux: Package Formats Explained You've switched to Linux, and want to install some software. But package managers differ depending on your distro. So which apps can you download and install? It's all in the acronyms. Read More . Endless Computer’s mission is to design an operating system that’s easy-to-use, and useful from the moment you turn it on, whether or not you have internet access. For that reason, the desktop comes with 100 apps preinstalled. For someone like me 15 Desktops That Reveal How We Work at MakeUseOf 15 Desktops That Reveal How We Work at MakeUseOf Does your desktop reveal how you work or how you think? Is it clean or cluttered with shortcuts? 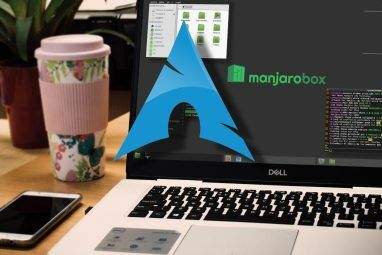 Here's how the MakeUseOf team uses its Windows, Mac, and Linux desktops. Read More , who uninstalls most bundled software regardless of whether I’m on Linux, Android, or Windows, this doesn’t sound like a bonus. But I’m not the target audience. Endless OS is intended to work regardless of whether you have an internet connection, or whether you know how to install software or not. Download the OS as an ISO file from the Endless website. This is the traditional way of installing a Linux-based operating system. It involves flashing the ISO file to a USB flash drive and using that stick to install Endless alongside or as a replacement for your existing OS. Purchase an Endless computer. The website lists several models, such as the Endless One, the Endless Enterprise, and several versions of the Endless Mission. These are small, relatively low-power machines that cost around as much as an Android tablet. Endless OS isn’t quite like most other Linux-based operating systems. For starters, you have to sign an end user license agreement. That won’t take most users by surprise, but as a long-time Linux user, it did give me pause. Moving on, the installation is straightforward. You have two options, a base version that comes in under 2GB, and a full version that is closer to 15GB. The latter comes with many apps preinstalled, allowing you to hit the ground running without an internet connection. That’s the version I tried. After installation, Endless OS again distinguishes itself from most other Linux-based OSes by making system files read-only. This way only app updates can tinker with them. This approach comes with some security benefits and is more akin to the way Chrome OS operates. The Endless OS desktop feels like the combination of a mobile device with a traditional desktop. An app drawer sits in the background, where it’s always open. Any apps you open cover up the drawer. They also appear in the taskbar along the bottom. Endless OS is based on Debian. It uses the GNOME desktop GNOME Explained: A Look at One of Linux's Most Popular Desktops GNOME Explained: A Look at One of Linux's Most Popular Desktops You're interested in Linux, and you've come across "GNOME", an acronym for GNU Network Object Model Environment. GNOME is one of the most popular open source interfaces, but what does that mean? Read More , which you will notice when you open the file manager, system settings, the app store, and traditional Linux software. The taskbar offers few surprises. Favorite and open apps appear along the bottom. System indicators, the clock, and user accounts occupy the bottom-right. The launcher in the bottom-left shows or hides the desktop background, where the app launcher resides. The home screen lets you search the web without opening a browser. You can arrange apps into groups, and a few come included by default. A tab at the top opens “Recommended Stories,” which provide highlights and links to content from your installed apps. Here is where using Endless OS starts to get interesting for me. Perusing the content revived memories of opening offline encyclopedia apps in the past. Though as someone who came of age just as these apps were falling out of fashion in favor of the internet, exploring vast amounts of offline content felt both nostalgic and novel. Much of the content Endless provides comes from Wikipedia, but the company has packaged information into several distinct apps. History for historical information, Geography for landscapes and countries, plus Celebrities for well-known figures (past and present alike). Endless doesn’t stop with Wikipedia. The OS functions as a showcase of free culture content. A Textbook app, for examples, comes with FlexBooks from the C-12 Foundation. There is content from Khan Academy and videos to help students with various subjects. This is much of the reason the initial download is so big. Selecting the “More Apps” option on the home screen opens up the app store, which is an Endless version of GNOME Software Linux App Stores Compared: Which One Is Right for You? Linux App Stores Compared: Which One Is Right for You? Windows users are being guided to an app store. macOS has had one for a while. Linux, meanwhile, has had an app store-style experience for years. But which one is right for you? Read More . 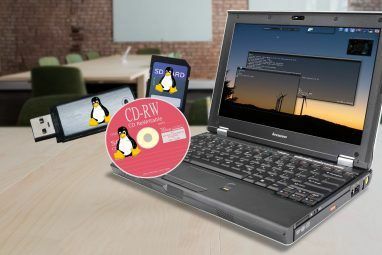 Here Endless mixes apps designed for Endless OS with web apps and software designed for the traditional Linux desktop. A symbol distinguishes between apps you already have and those that require a download. The store mixes traditional apps with Endless-specific apps. Audacity, for example, is the recommendation for editing audio. It opens in a window and functions as it would on other Linux-based OSes. Many popular apps often come as web apps rather than software designed for Endless OS. The Duolingo app is a packaged up version of the Duolingo website. Chromium is the default web browser. Here you will find an “Exploration Center” that provides links to popular news sites and social networks. The news categories fills you in on headlines from around the world. There are also tabs listing your favorite sites and the pages you’ve visited. As promised, Endless OS provides much to see and do without an internet connection. As long as you download the larger, 15GB version, you have access to offline Wikipedia content and various books. You also have the full LibreOffice suite for getting work done. Naturally, you can’t read news or visit social media without an internet connection. You also have to wait until you reconnect to download updates. When I saw a notification detecting an internet connection with unlimited data, it reminded me of the kind of environment Endless OS is targeting. Should You Use Endless OS? Endless OS delivers on its promise of providing a Linux-based desktop that is both simple and useful. I see this as a great experience for a first-time computer user, regardless of their age. For the time being, this is the Linux-based OS I would recommend. While it doesn’t provide many new apps in the traditional sense (such as photo managers or video editors), Endless OS has much see. It’s an innovative use of Linux that differs from the more common approach of redesigning interfaces and recreating apps. Would I recommend Endless to an experienced computer user? It depends on what you’re after. If you’re coming from a Linux background, you may be frustrated by the lack of certain apps and the inability to manipulate system files to add them yourself. Depending on the job you’re doing, all that Endless provides may come off more as a distraction than useful. 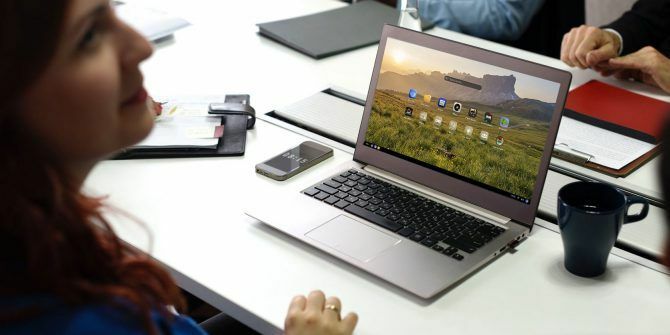 Fortunately, there are no shortage of other Linux-based desktops The Best Linux Operating Distros The Best Linux Operating Distros The best Linux distros are hard to find. Unless you read our list of the best Linux operating systems for gaming, Raspberry Pi, and more. Read More that may be better suited to your needs. 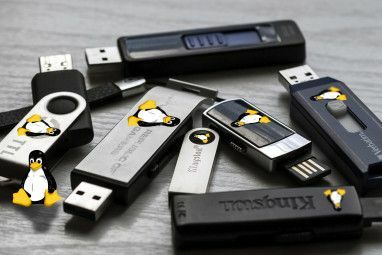 The 8 Smallest Linux Distros That Need Almost No SpaceWhat’s the Easiest Way to Install Linux on Your Computer? The easiest way to install Linux, is to have someone else experienced in Linux do it for you! Endless sounded intriguing, so I though I would download the iso and spin it up on a VM. Sadly that was not to be. The Windows download does not let you near an sdo, your options are to install on your computer or install on a USB drive. So, lets see what the Linux/Mac download looks like. Yes, an iso! once you haw downloaded a torrent client, because you cannot get an iso erectly from the website. I guess IO am not the target market for Endless, however they do seem to e making it as difficult as possible to install, not as easy as possible. Funny thing about offline (of which I'm a big fan from way back)... people today are conditioned to be online, to store stuff online. It's a different mindset from when I started computing. I really like the inclusion of Wikipedia offline. Like you, it brings back fond memories of a kind of nostalgic self-reliance. I still have my older DOS and Windows-based encyclopedias. Always looking for offline general encyclopedias but what there is, is usually very specific and wrapped in a pdf. Of note: I just tried their order page to take a closer look at the hardware specs and... it failed. Unfortunate, considering that you highlighted them today. A little behind the times on this one, Endless just trimmed their staff by at least half. Not looking good for the future of the project. I'm not great at figuring out linux code. But I've been using Linux for several years now, and have even installed it on other people's pc's. My os of choice was Linux Mint, but as of version 18, I have had a lot of glitchiness? I won't go into them, may be my hdd or ram problems. I've tried several different flavors over the last 2 months and as of 2 days ago I'm back to using one i used several years ago. Freespire. And it works great. Easy install, easy internet and printer connect. Installed newest gimp, and LibreOffice. New users... Don't be afraid to try linux. There are several that are easy to install, and they are safer and mire secure than Windows without all the tedious, time consuming updates. Just my opinion.